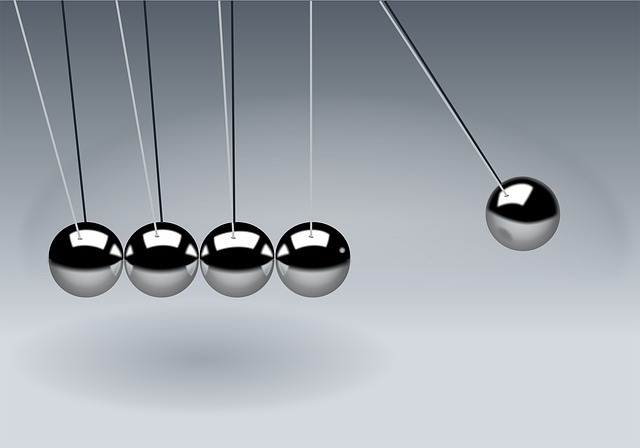 Second law: The acceleration of a body is directly proportional to, and in the same direction as, the net force acting on the body, and inversely proportional to its mass. Thus, F = ma, where F is the net force acting on the object, m is the mass of the object and a is the acceleration of the object. The three laws of motion were first compiled by Isaac Newton in his Philosophiæ Naturalis Principia Mathematica (Mathematical Principles of Natural Philosophy), first published in 1687. Newton used them to explain and investigate the motion of many physical objects and systems. For example, in the third volume of the text, Newton showed that these laws of motion, combined with his law of universal gravitation, explained Kepler’s laws of planetary motion. Whiplash is a non-medical term describing a range of injuries to the neck caused by or related to a sudden distortion of the neck associated with extension. The term “whiplash” is a colloquialism. “Cervical acceleration-deceleration” (CAD) describes the mechanism of the injury, while the term “whiplash associated disorders” (WAD) describes the injury sequelae and symptoms. Whiplash is commonly associated with motor vehicle accidents, usually when the vehicle has been hit in the rear; however, the injury can be sustained in many other ways, including head banging, bungee jumping and falls. It is one of the main injuries covered by the car insurers. In the United Kingdom, 430,000 people made an insurance claim for whiplash in 2007, accounting for 14% of every driver’s premium. Before the invention of the car, whiplash injuries were called “railroad spine” as they were noted mostly in connection with train collisions. The first case of severe neck pain arising from a train collision was documented around 1919. The number of whiplash injuries has since risen sharply due to rear-end motor vehicle collisions. Given the wide variety of symptoms are associated with whiplash injuries, the Quebec Task Force on Whiplash-Associated Disorders coined the phrase ‘Whiplash-Associated Disorders’. Whiplash is the term commonly used to describe hyperflexion and hyperextension, and is one of the most common nonfatal car crash injuries. More than one million whiplash injuries occur each year due to car crashes. This is an estimate because not all cases of whiplash are reported. In a given year, an estimated 3.8 people per 1000 experience whiplash symptoms. “Freeman and co-investigators estimated that 6.2% of the US population have late whiplash syndrome”. The majority of cases occur in patients in their late fourth decade. Unless a cervical strain has occurred with additional brain or spinal cord trauma mortality is rare. Whiplash can occur at speeds of 2.5 miles per hour or less according to sigmond et. al. ; it is the sudden jolt, as one car hits another, that causes ones head to be abruptly thrown back and sideways. The more sudden the motion, the more bones, discs, muscles and tendons in ones neck and upper back will be damaged. Spinal cord injuries are responsible for about 6,000 deaths in the U.S. each year and 5,000 whiplash injuries per year result in quadriplegia. Figure: This is an illustration of part of the cervical spine (black portion of inset). Part is cut in half for better viewing. This illustrates all of the lesions that have been reported to occur in whiplash trauma. With permission from Whiplash! A Patient’s Guide to Recovery. San Diego, (c) Spine Research Institute of San Diego, 1999. Most cases of whiplash occur among Caucasians 66.1%, as compared to 27.1% for African Americans, 8.1% for Hispanics, and 2% for Asians, as seen in figure A. After 12 months, only 1 in 5 patients remain symptomatic, only 11.5% of individuals were able to return to work a year after the injury, and only 35.4% were able to get back to work at a similar level of performance after 20 years. Estimated indirect costs to industry are $66,626 per year, depending on the level and severity. Lastly, the total cost per year was $40.5 billion in 2008, a 317% increase over 1998. Insurance Institute for Highway Safety. “Q&A: Neck Injury”. Retrieved 2007-09-18. “whiplash” at Dorland’s Medical Dictionary a b c d e f Krafft, M; Kullgren A, Lie A, Tingval C (2005-04-01). “Assessment of Whiplash Protection in Rear Impacts” (pdf). Swedish National Road Administration & Folksam. Archived from the original on August 8, 2007. Retrieved 2008-01-18. “Warning over whiplash ‘epidemic'”. BBC News. 2008-11-15. Retrieved 2010-04-06. a b Desapriya, Ediriweera (2010). Head restraints and whiplash : the past, present, and future. New York: Nova Science Publishers. ISBN 978-1-61668-150-0 a b c Foreman, Stephen M.; Croft, Arthur C. (2002). Whiplash injuries : the cervical acceleration/deceleration syndrom. Philadelphia: Lippincott Williams Wilkins. ISBN 0-7817-2681-6. a b Barnsley, L.; Lord, S.; Bogduk, N. (Sep 1994). “Whiplash injury.”. Pain 58 (3): 283–307. PMID 7838578. Freeman, MD. ; Croft, AC. ; Rossignol, AM. ; Weaver, DS. ; Reiser, M. (Jan 1999). “A review and methodologic critique of the literature refuting whiplash syndrome.”. Spine (Phila Pa 1976) 24 (1): 86–96. PMID 9921598. Medical Engineering And Physics, 28(6), 515-524. Panjabi, M.M., Cholewicki, J., Nibu,K., Grauer,N.J, Babat, B.L., and Dvorack,J. (1998) Mechanism of whiplash injury. Clinical Biomechanics, 13(4-5), 239-249. Impingement Syndrome Associated with Whiplash Injury. S K Chauhan, T Peckham, R Turner, J Bone J Surg 85-British 2003;3:408-410. Roller Coaster Neck Pain, from the Spinal Injury Foundation “Whiplash injury”. 2006-08-23. Yamaguchi K, Ditsios K, Middleton WD, Hildebolt CF, Galatz LM, Teefey SA. The demographic and morphological features of rotator cuff disease. Eyes on the road: Searching for answers to the problem of distracted driving.